We work hard. We all want them. But why are the six pack abs to elusive? Muscles form the shape of our bodies. Adipose tissue, or fat, lays on top of those muscles. That adipose tissue can also hide in the abdomen around the organs. You might have six pack abs under the layers of that tissue and just not be able to see them. That’s because six pack abs happen in the kitchen, and not just in the gym! Are you working hard in the gym? Do you fit in the Core Credit Work at least three or four days a week? Are your times improving in the WODs? If you can answer YES to all of that and still can’t see your six pack abs then it’s time to talk about nutrition. Are you ready? The foundation of the big triangle in the gym is Nutrition. What we put in our mouths matters. A lot. It matters not just for how we feel, but it effects how we look. Remember the old adage “you are what you eat?” It’s true! 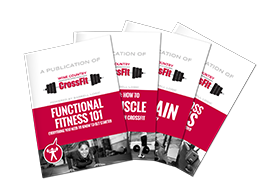 Wine Country CrossFit has the tools to support your transformation. Ready to see those abs? Look no further than our Nutritional Coaching Programs. -We have the Step By Step Program which provides a supported “hand-holding” process to amend what you eat in order to change your results. Whether it’s improved performance, enhanced recovery, or six pack abs, our Individual Nutrition Program coach personally designs a program for you. On March 31 we will launch our new Group Nutrition Coaching Program, and sign up links will be ready on February 1st. We will have three levels to choose from, so there is something for just about everyone who needs support with food. For the last nine years we have engaged in every type of Paleo Challenge under the sun. We have seen tremendous change in health, vitality, performance and blood profiles by following the Paleolithic model of nutrition. This time around we are approaching nutrition from a macronutrient perspective. With all nutrition programs we first must look at what we eat. We then look at our goals. After that we focus on the steps to get us there. We are excited to have all these choices for our WCCF members. You work hard in the gym. You should be able to see the results in your six pack abs!